Quality of Evidence Grades and Strength of Recommendations Grade Definition High We are very confident that the true effect lies close to that of the estimate of the effect. Moderate We are moderately confident in the effect estimate: e true effect is likely to be close to the estimate of the effect, but there is a possibility that it is substantially different Low Our confidence in the effect estimate is limited: e true effect may be substantially different from the estimate of the effect. Very Low We have very little confidence in the effect estimate: e true effect is likely to be substantially different from the estimate of effect Implication of the strength of recommendation for different users of the guideline Strong recommendation Conditional (weak) recommendation Patients Most individuals in this situation would want the recommended course of action, and only a small proportion would not. e majority of individuals in this situation would want the suggested course of action, but many would not. Clinicians Most individuals should receive the intervention. Formal decision aids are not likely to be needed to help individuals make decisions consistent with their values and preferences. 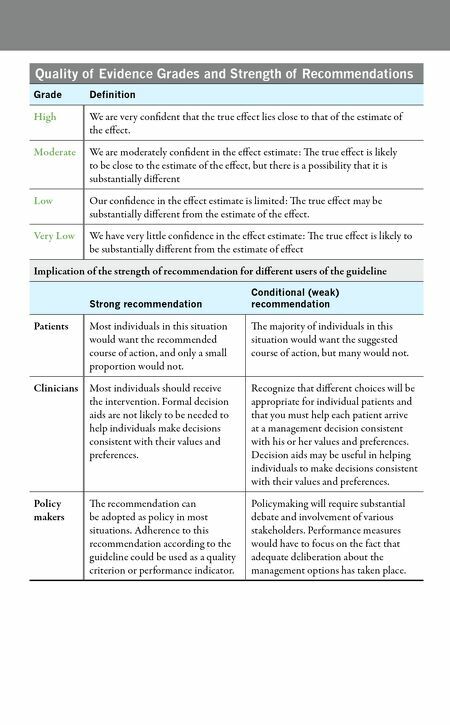 Recognize that different choices will be appropriate for individual patients and that you must help each patient arrive at a management decision consistent with his or her values and preferences. Decision aids may be useful in helping individuals to make decisions consistent with their values and preferences. Policy makers e recommendation can be adopted as policy in most situations. 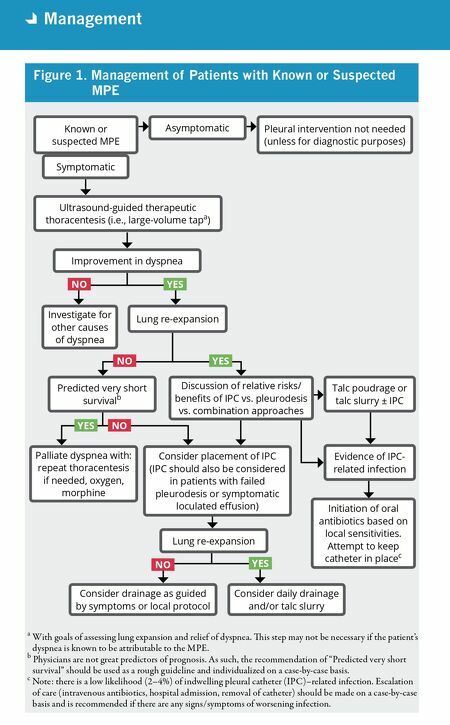 Adherence to this recommendation according to the guideline could be used as a quality criterion or performance indicator. Policymaking will require substantial debate and involvement of various stakeholders. Performance measures would have to focus on the fact that adequate deliberation about the management options has taken place.